For the business world the Christmas season has ended. For the faithful, it begins. But for all and sundry it offers a few hours’ respite and rest, and for us pipe-smokers hopefully time as well for a reflective pipe. So happy holidays to you—and, in whatever fashion you celebrate the day, I wish you a very Merry Christmas! 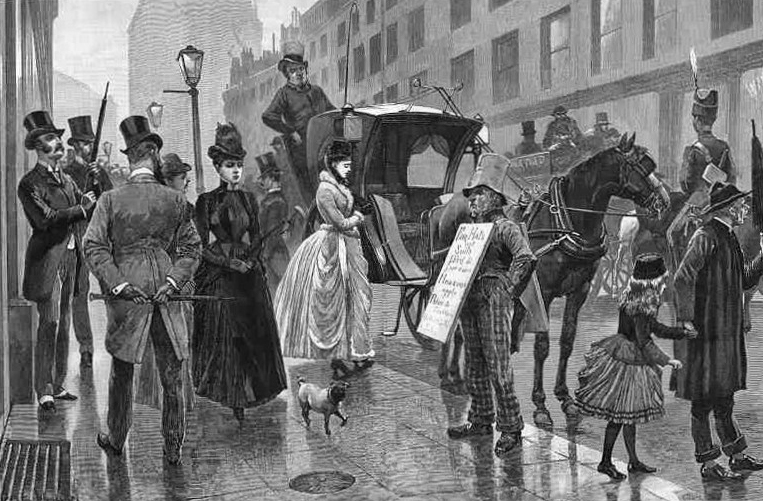 Although they’d been around since the 1820s, it was Charles Dickens who first described the human billboard in Sketches by Boz (1836) as “an animated sandwich, composed of a boy between two boards.” In the US these days, most of them seem to be minimum-wage kids working on the curb for fast-food, car wash or insurance chains, usually in costumes rather than clapboards. 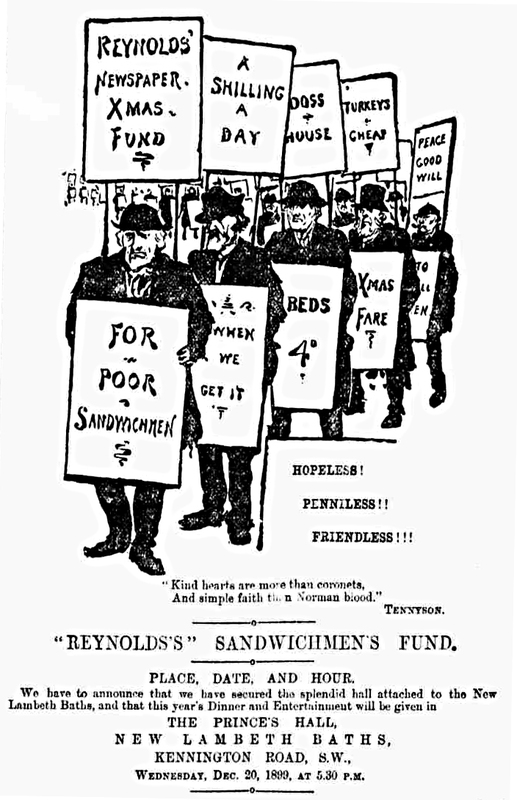 But in London at the end of the nineteenth century, the sandwichmen had become a distinct class of the working poor, so much so that in 1895 the Reynold’s Newspaper began an annual Christmas dinner for them, where clothing and personal necessities were gifted out afterwards. TO THE EDITOR OF REYNOLD’S NEWSPAPER. 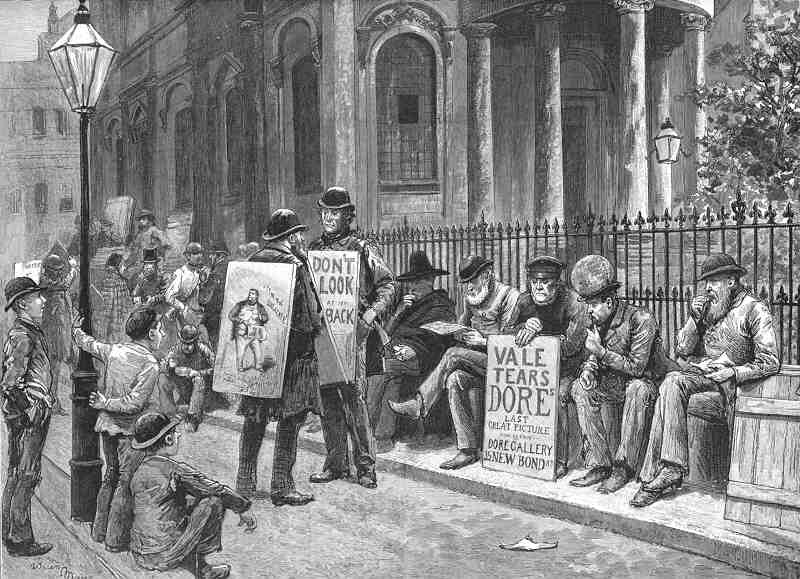 By the courtesy of Mr. Loxton Hunter we are enabled to announce that the great firm of Messrs. W. D. and H. O. Wills, of Bristol, have, through their London agents, Messrs. G. and J. Gayler, of Tudor-street, generously promised a gift of 850 ½ oz., packets of their excellent Red Cross Shag. W. D. and H. O. Wills are important to us even today insofar as Capstan pipe tobacco was one of their products, although their historical importance was rather as the UK’s first company to mass-produce cigarettes, notably Woodbine. 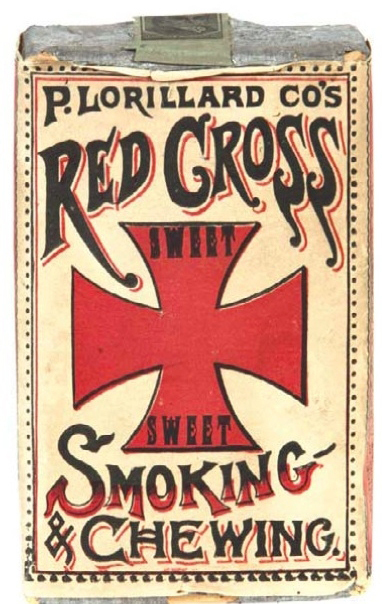 As for “their excellent Red Cross Shag,” while I know shag, or fine ribbon cut as we would call it today, was used for cigarettes as well as pipes, the only Red Cross brand I can find reference to is the one made by P. Lorillard—but perhaps scholars better versed than I in vintage tobaccos can answer this question? “A thousand – nay to be correct, eleven hundred – of the flotsam and jetsam of human Society congregated in a huge well-lit, comfortably-appointed, hospitably-appearanced hall. Eleven hundred souls, happy with that happiness which the sailor might feel when he had reached the haven after a year’s buffeting. It was the Christmas entertainment which Reynold’s Newspaper had the great honour to again initiate; and which the staff of Reynold’s can now congratulate themselves was carried to manly success. They came poverty-laden and o’er-laden. Poverty is not the first and best incentive to manhood. The sandwichman is sometimes a dramatic figure when illumined by the painter’s brush or the poet’s pen. But we know all too well what his poverty means. Prince’s Hall, New Lambeth Baths, was the rendezvous, and no eleven hundred guests could ever have behaved with better decorum. The Prince of Wales was one of the most munificent contributors to the fund. In the course of the evening, Mr. W. M. Thompson, our chief, sent him a congratulatory greeting—“A thousand sandwichmen send you and yours a merry Christmas and a happy New Year.” The reply came back, full, prompt, and reciprocated. And had the Prince heard the cheer which welled up from the heart of these eleven hundred grateful souls—a cheer which had no winter in’t—his Christmas would have been rendered even happier and more grateful. I suppose there are those who would cavil at this banquet. It didn’t have a hymn as a prologue or a denunciation of all the miserable verities of this wicked world, and particularly of the sandwichmen in it, as an epilogue. They were simply treated like members of a great human family, a little below the angels, as we ourselves are, but men who breathe, eat, and feel as we do, and can enjoy their Christmas fare as merrily as we do. both in this Christmas season and the coming New Year! 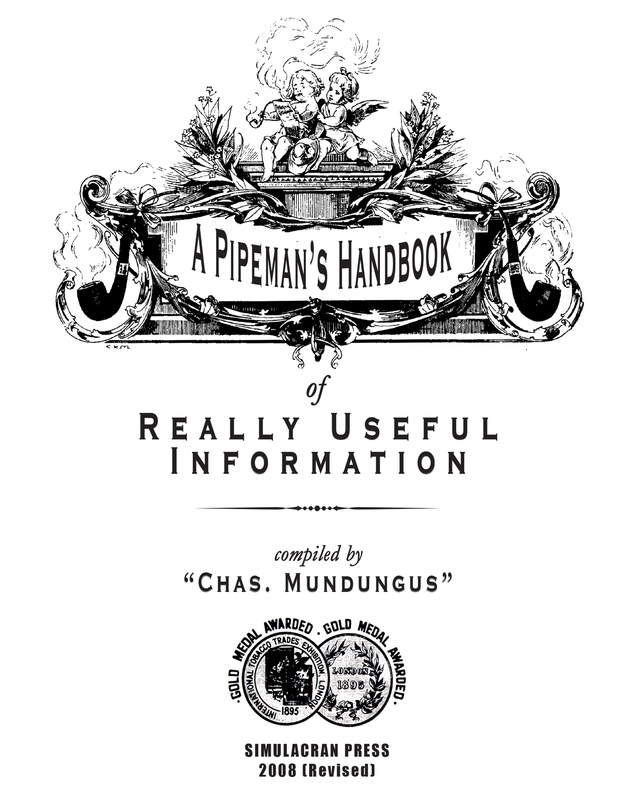 Charles Mundungus has given me permission to pass along the slightly-revised Pipeman’s Handbook of Really Useful Information he put together ten years ago. Looking at it now, I am amazed at how quickly some things change in the hobby and how others remain the same. For those of you who have never seen it, it was a bit of a “toss-off” on his part after I’d asked him about compiling a handbook for pipe-smokers. He spent an hour or two in front of my computer monitor, then said, “This is a sketch of what it should look like.” I had hoped he might actually write the thing, but his life took him back to Lake Lucerne and I turned my attention to Peterson. If you have seen the 2008 version, I direct your attention to the final entry, which Mundungus appended in 2013, for a real treat. 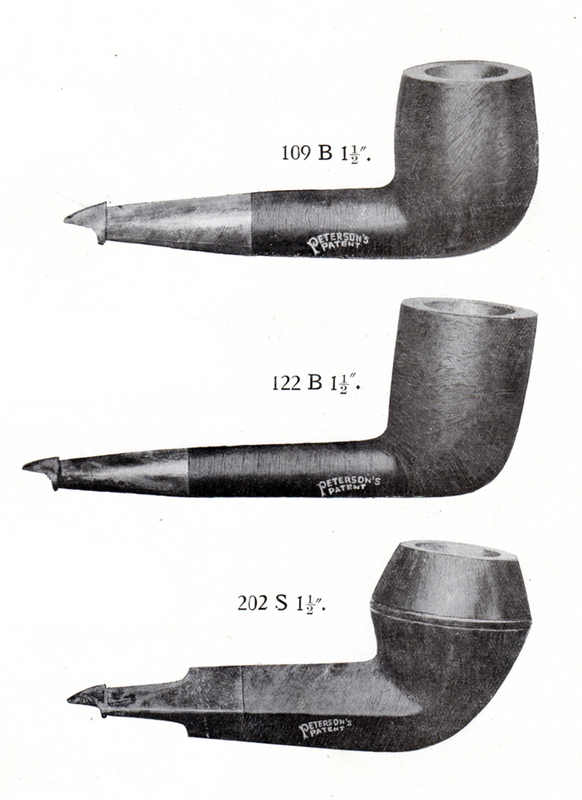 1 A “gross” or 12 dozen, was how Peterson factory workers through the 1970s gauged their individual production. So Peterson was sending between 432 and 576 pipes. 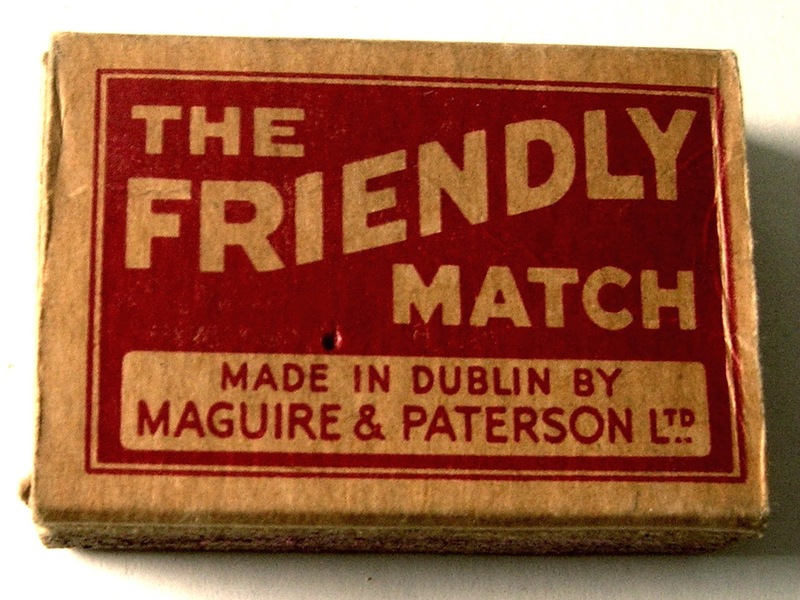 2 Don’t miss the Irish public TV short film, Maguire and Paterson 100 Years  at https://www.rte.ie/archives/2018/0320/948772-history-of-matchboxes/ . I thought it was thoughtful of the interestingly coiffeured interviewer to color-coordinate his wardrobe with the match boxes. And if you enjoyed that, check out the Friendly Matches cartoons at https://ifiplayer.ie/maguire-and-paterson-matches-dancing/, https://ifiplayer.ie/maguire-and-paterson-matches-la-caramatcha/, https://ifiplayer.ie/maguire-and-paterson-matches-mexican-dance/, and https://ifiplayer.ie/maguire-and-paterson-matches-egypt/. Christmas morning so I thought so, made the coffee and opened the computer and went straight to PPN, yes ! 120 amber spigot from Poland so all is fine. Thank you for the page and glædelig jul to everyone. Merry Christmas – and an appropriate message at this time of year – and thank you for bringing us the presents of THE NOTES all year long! What a joyful joy will happen in 2019 when we will finally will see our full copy of THE BOOK! But enjoying a smoke with friends – well that is the best gift of all! Thanks, Linwood! And I couldn’t agree more, having just returned from spending some days with my Dad–sharing pipes with friends & family is the best. So glad I finally got to read the latest missive of Peterson Pipe Notes now that the Holidays have passed. Surely a first addendum to the forthcoming Peterson Pipe Book which we are all anxiously waiting to read. This is a great story and I can see that your searching for Peterson history is never done and we are all grateful for that. Thank YOU for preserving history for all of us Peterson fans. You’re welcome, Andy. Happy New Year to you, good sir! !